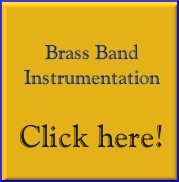 Set as the First Section Test Piece for the 2019 National Finals of the British Brass Band Championships. THE UNKNOWN CONTINENT tells the story of the many fruitless voyages undertaken to find the mysterious ‘Terra Australis’ and conjures up something of the awe and excitement its discovery engendered. Early struggles and hardships of the first settlers are described in THE NEW CHALLENGE but the true story of Australia over the last 200 years is one of success and CELEBRATION ends the piece in triumph. 3) Tam-tam, Tenor Drum, Cymbals, Triangle.